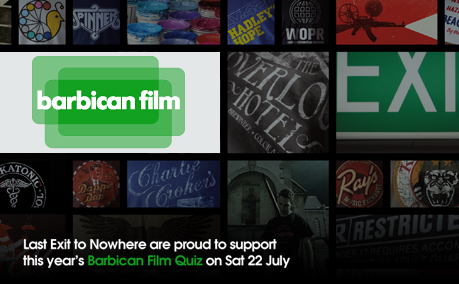 Last Exit to Nowhere are sponsoring the prestigious Barbican Film Quiz this summer on Saturday 22nd July. Up for grabs for the winning teams are a selection of our T-shirts. “Incredibly cool t-shirts. Genius” James White, Barbican Film.